The UK offers some of the best surfing in the world. That makes sense, since it is surrounded by water. The beaches here are beautiful, and you can find any kind of surf you want, all year long. From Cornwall surfing lessons to Yorkshire, and from the east coast to the west coast, you’ll find surf perfect for just about any skills level. With the popularity of this sport in the UK, and with people traveling thousands of miles and overseas to surf in the waters around the UK, it’s no wonder surfing shops abound. 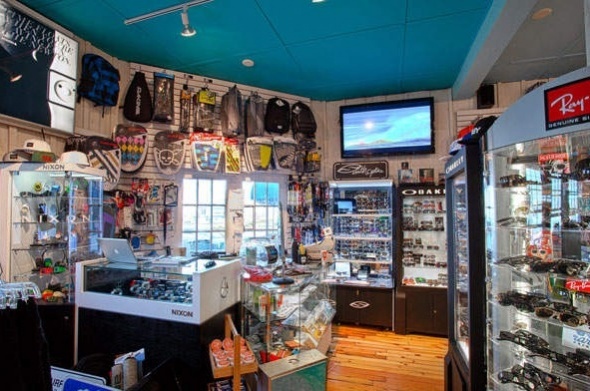 You can find gear, equipment, lessons, and info on surf conditions at any number of excellent surf shops. Here are some of the top ones. Magicseaweed is located in Kingsbridge, Devon. They ship all over the world, so you can order from them and they get the order out the same day. They recently started carrying Vissla wetsuits, which are great for all-weather surfing off the shores of the UK. You can get your surfboard here, too, along with other surf hardware from companies like Rip Curl, Xcell, and Billabong. They also take pride in their selection of performance boards, as well as funboards and beginner boards. Select a 5mm wetsuit for winter surfing, or a 3mm suite for this summer. They are all available at Magicseaweed Surf Shop. West Coast Surf is located on the Llyn Peninsula of North Wales. 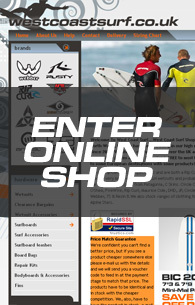 This shop is fully stocked with Patagonia and Rip Curl wetsuits for year-round surfing. They also carry the favorite Ray-Ban and Spy sunglasses, and surfboards by every major, popular manufacturer, including Rip Curl, DHD, Circle One, Bic, and Aloha, among others. West Coast Surf is also a designated search lab for Rip Curl. The not only sell equipment, they rent it out for those who want. Visitors to the area can rent wetsuits and boards on a daily or weekly basis. In Dorset, you’ll find the Sorted Surf Shop. 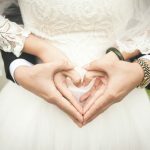 This company has the largest selection of wetsuits in the UK. They also stock accessories, and a wide range of surfboards by the biggest manufacturers. They often have clearance sales, so check them out to see if you can get your winter wetsuits right now, when they’re on sale. They offer trained analysis on what kind of surfboard you should buy, and you can find stand up paddle boards, too. By the way, you can also find GPS watches that should stand up the the sand, salt, and water you find on the beach. Surfsurfsurf is located in the South West, in Devon. The offer a 28 day returns policy and expert advice on your equipment choices. They stock everything from Absinthe Films to ZFlex, and can get you set up for surfing this summer, wherever you go. Right now, they’re offering a 10% discount on orders. You can even find waterproof phones here! Brick and mortar stores are important for shoppers, and surfers are no different. Drop by any of these stores, and see for yourself what they have to offer.